The .MUSIC extension is expected to offer a unique opportunity to the members of the global music community looking to enhance their virtual presence. The new domain will offer .MUSIC industry professionals, artists and companies an opportunity to register domain names that will authenticate their ties to music. This may include music education, promoting the art of music, innovating the global music scene or addressing the issues of piracy and trademark protection within the music industry. .MUSIC is expected to become the global platform for all things related to music. The Digital Revolution has created new opportunities in the music industry, where branding is key. With the Internet becoming a powerful marketing tool, online presence has helped musicians, bands, industry professionals, artists and companies extend their global reach. The .MUSIC name-space will effectively enhance musical exchange among music professionals and their fans and it will clearly define global music community with memorable and trusted extension. .MUSIC is a new generic Top-Level Domain (Music & Art gTLD) announced by ICANN, the Internet domain authority. The New gTLD Program`s goal is to enhance competition, innovation, and consumer choice. You can see it as your opportunity to get that perfect domain which has been taken by someone else. The introduction of .MUSIC domain extension is divided into three phases: Pre-registration, Sunrise and Landrush. After Landrush period, the .MUSIC domain will become public and registrations will be available to everyone (General availability). A free and non-binding way to get a head start securing the new domain name. Indication of an interest in a given domain and eventually registering name(s) in .MUSIC when registration becomes available. Time at the launch of the .MUSIC domain before public domain registration for the .MUSIC begins, allowing brand/trademark owners to register, or block related domain names. See our Managed TMCH Submission service. The initial launch phase for broad general distribution when anyone (usually companies) can submit a request for a domain name under the .MUSIC. Landrush registrations are typically NOT first-come, first-served. Duplicate requests are auctioned between the parties desiring an identical name. Finally, domain names under the .MUSIC will be available to the general public, at normal retail prices on a first-come, first-served basis. Applicants may attempt to register previously pre-registered domains within .MUSIC. When a domain is registered, it is officially reserved and registered in real time. If you are not a brand owner, before General availability you are allowed to take part only in the first phase and pre-register your desired domain names within .MUSIC. The use of our gTLD pre-registration module is free of charge and without any obligation to buy later on. We will keep you updated on future developments related to your preregistered domains, including information about pricing and regulations, once these have been announced by the registry responsible for a given gTLD. Please note that pre-registration of .MUSIC is not a queue. Although we will try our best, we cannot provide any kind of guarantee that pre-registration will eventually lead to successful registration of your chosen domain within the .MUSIC extension. For non-trademark holders Pre-registration of .MUSIC will be available until General availability. Over the years, the Internet has become the biggest musical stage on a global scale. Online presence and distribution is the most effective channel of exchange for musicians and industry professionals and their audiences. The new .MUSIC domain will clearly distinguish music entities among the crowd of .COMs, .NETs and .ORGs. This unique identity online will change the industry standard for music-related websites. Dedicated for the use of artists, music companies and industry professionals engaged in music dissemination and appreciation, .MUSIC is one of the most desirable new gTLDs. The specialized .MUSIC domain can also be used to enhance a brand's visibility, to promote an artist, a band or a musical trend, or even just one song. With names such as BAND.MUSIC, NAME.MUSIC or SONG.MUSIC, the second-guessing will not be an option and direct navigation will help users locate the artist's official website. The .MUSIC extension offers a consistent, trusted and authenticated umbrella for legitimate music industry websites that will open the door to the next-generation Internet presence. Why should I register .MUSIC domain name? You are free to choose from hundreds of domain extensions tailored to your website's needs to give it a unique virtual identity. Furthermore, with .MUSIC extension your website is likely to turn up in more searches and generate more online traffic. When will .MUSIC be available? Why should I pre-register .MUSIC now? We will keep you updated on any developments related to your pre-registered .MUSIC domain, including information about pricing and regulations, once these have been announced by the registry responsible for .MUSIC. Does it cost anything to pre-register .MUSIC? The use of our gTLD pre-registration module is free of charge and without any obligation to a future purchase. Please note that pre-registration of .MUSIC is not a queue. Although we will try our best, we cannot provide any kind of guarantee that pre-registration will actually lead to the successful registration of your chosen domain within .MUSIC. Are there any limitations on .MUSIC pre-registrations? No, with Web Solutions you are free to pre-register as many [new gTLDs] as you wish free of charge. However, although we will try our best, we cannot provide any kind of guarantee that pre-registration will lead to the successful registration of your chosen domain within .MUSIC. Are trademarks usable in .MUSIC domain registration? 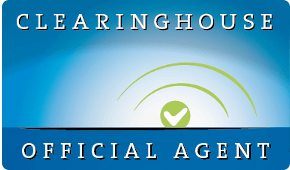 If you are a brand owner, it is important that you register your trademark(s) with the Trademark Clearinghouse (TMCH) prior to the release of .MUSIC. Brands are protected by the TMCH in two ways: with a Sunrise Service and a Trademark Claims Service. Web Solutions further offer a Managed TMCH Submissions service. Click here to read more. Am I obligated to register a .MUSIC I pre-registered? Pre-registration of .MUSIC names with Web Solutions is free of charge and with no obligation to buy the domain name later on. By expressing your interest in a .MUSIC name and pre-registering it, you can be assured of our assistance in keeping you up to date on any developments regarding .MUSIC. Why would I want to pre-register .MUSIC with Web Solutions? Can anyone register a .MUSIC domain name? How do I host my .MUSIC domain name? Web Solutions' services include hosting and email service for .MUSIC. To order hosting, email service and SSL certificates, click here or contact our Support Team at support@web-solutions.eu or via phone on +44 (0) 208 133 3994. All the .MUSIC domain names may be hosted on your own name servers. If you specify no name servers, we will provide DNS for your .MUSIC domains free of charge. Digital technology has revolutionised the face of .MEDIA industry. But it is not the end of the revolution – the coming of new Internet domains will bring more exciting changes to the way we communicate information, and not just within the industry. Good news is coming to music and other artistic communities – their creativity and forms of expression will not have to be limited to the .COMs and .NETs. With name-spaces such as .ART, .MUSIC, .STUDIO, .PHOTOGRAPHY, .THEATRE or .GALLERY, identifying the artistic niche will be easier than ever before. In the vast music industry, new Internet domains like .SONG, .GUITARS or .BAND should be helpful in distinguishing specific brands or markets. And global Internet community will certainly appreciate the new ease and convenience of searching and locating all things art online. There are a number of ways to deliver a message to your audience, yet with the new news- and media-related gTLDs, such as .BROADCAST, .PRESS, .VIDEO or .SHOW, organisations, businesses as well as individuals will be able to extend their reach and mark their distinct presence in the virtual world. Take a moment to pre-register the domain that best suits your needs before it is taken by the competition. It is free and non-binding with Web Solutions who will keep you updated on the latest news and developments related to the domain of your choice.